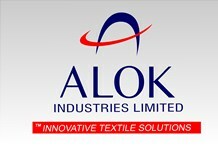 Alok International Inc is the USA based subsidiary of Alok Industries Limited. The objective behind setting up a subsidiary in USA was to provide forward integration to USA retailers by strengthening the distribution channel. The subsidiary will help Alok to enter into strategic partnerships in the USA. This channel will be used to increase business with the existing customers and further widening the customer base. Also it will help Alok to penetrate markets in South America.